We offer wooden and metal photo frames that come in an innumerable variety and are widely used to keep one memory safe and in good state. Our metal photo frames are available in simple, plain frames, lined sleek frames, frames with layering of different hues of wood as well as wooden picture frames with elaborate engraved wooden patterns. 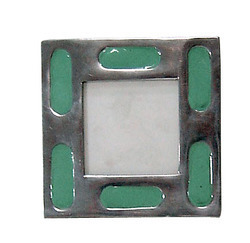 Item Size: Photo Size : 7"x7"
Sizes Available : 5" x 7"
Assisted by our team of hardworking professionals, we are indulged in offering an extensive gamut of Antique Metal Photo Frame. 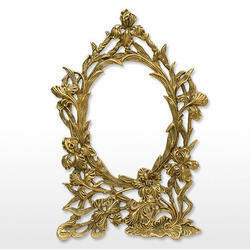 Being a leading enterprise of this industry, we are offering a huge range of Metal Photo Frame. Horn/Bone Photo Frame, Metal Photo Frame, Lac Photo Frame, Glass Photo Frame, Wooden Photo Frame, Etc. Photo frame like metal photo frame, wooden photo frames, etc.